Everyone thinks West is best, but there is a lot to be said for the historic heartland of Ireland. 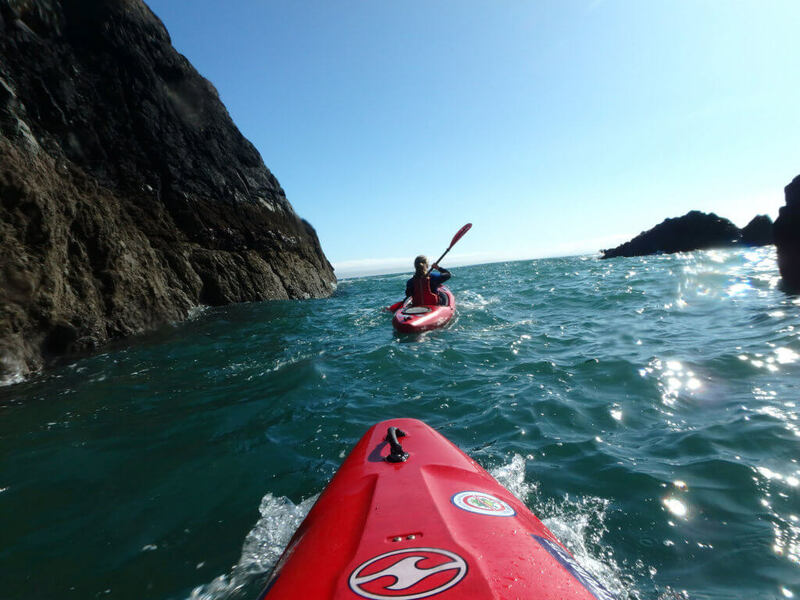 Part of Ireland’s Ancient East, Munster Vales offers buckling mountain ranges, corrie lakes, quarries converted into adventure playgrounds, great biking routes, jagged coastlines and babbling rivers that are perfect for paddling. Unspoiled, unpolluted and crowd-free, Orla Ó Muirí spends 48 hours exploring the gems on offer! Munster Vales encompasses 1,100km across counties Limerick, Cork, Tipperary and Waterford. There are five mountain ranges to explore (the Comeraghs, Knockmealdowns, Galty Mountains, Ballyhoura and Nagles). And the regions boasts major tourist attractions like the Rock of Cashel, Cahir Castle, the Waterford Greenway, Ballyhoura Mountain Bike Park, Glen of Aherlow, Lough Gur and Lismore. Below are some of our top recommendations so you can make the most of your trip to the area. Ireland will take you on a soulful journey out in the deserted and magical Galty Castle Woods. Expect a two-hour walk, stopping every 10-15 minutes to do yoga poses amongst the long grass and mossy green trees. 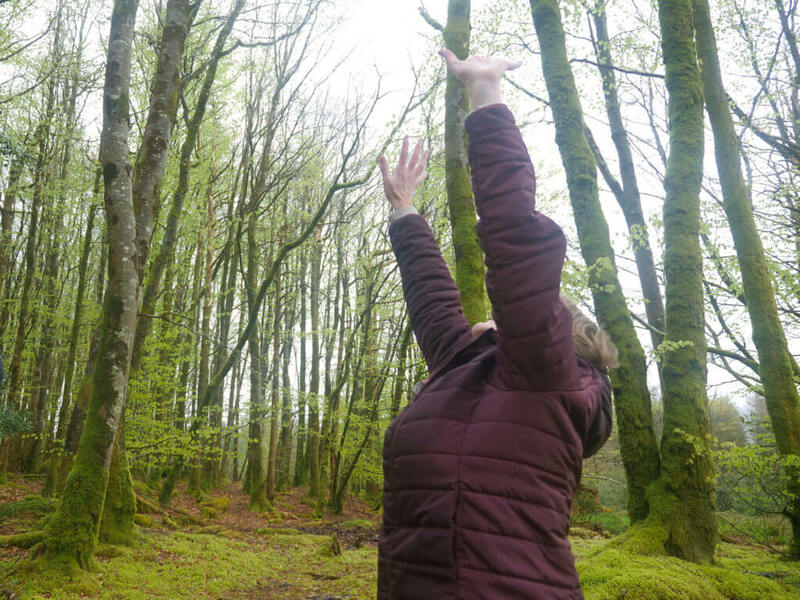 With tribal vibes, this slow adventure explores the Ireland of old, while you practice your sun salutations and dance in the woods to the sounds of the flowing river, the wind in the trees and your breath. One of the highlights is stopping off in a very cool yurt to see a local artist’s gallery. Caroline then reads your energy and, trust me, will be able to tell you things about yourself that only you thought you knew. You could spend the whole weekend here and still not have tried all of the activities on offer. Located on the grounds of an old quarry, Ballyhass has a wakeboarding park, an aqua-park, a leap of faith and ziplines galore. My top thrill here was throwing shapes on the clear waters of the wakeboarding park. You can’t help but get caught up in the instructor’s enthusiasm as he whoops and hollers when you manage to pull off a move. This place is super chilled. with folk hanging out, sipping coffee, laughing and messing. Before you leave, be sure to climb the pole to stand on the teetering platform in the sky and take the Leap of Faith. Then have a few runs on the ziplines over the lake for one last dose of adrenaline. Myra Ryall and her husband have breathed new life into the sleepy town of Doneraile with this old merchant shop turned tea room on the main street. Despite its loveliness, mucky hikers, bikers and adventurers are most welcome. This great menu is filled with locally sourced produce, tasty coffee and lots and lots of cake! On a sunny day, sit out the back and then take a stroll through Doneraile Wildlife Park, a stunning 500-acre park. 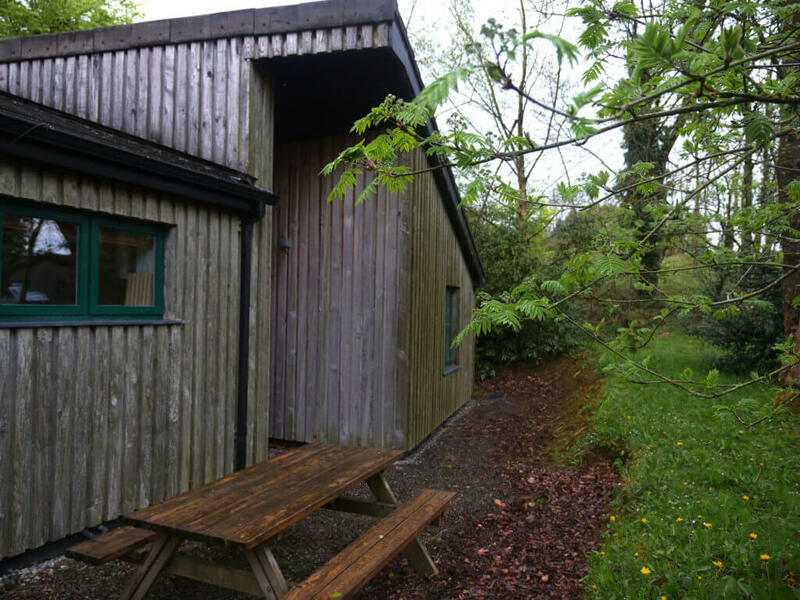 These lovely lodges in Ballyorgan are beautiful cabins in the wood from the outside and the height of comfort and luxury on the inside. Dodgy phone service and no wifi means it is the perfect escape from reality. There are plenty of hikes on your doorstep and Ballyhoura Mountain Bike Park. Is just a stone’s throw away. 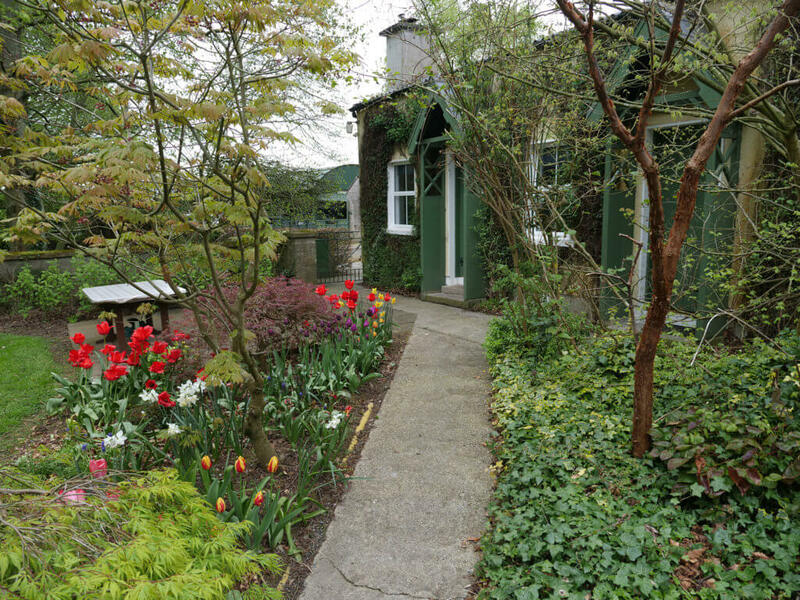 The lodge sleeps six and are walking distance to the pub. What more could you want? 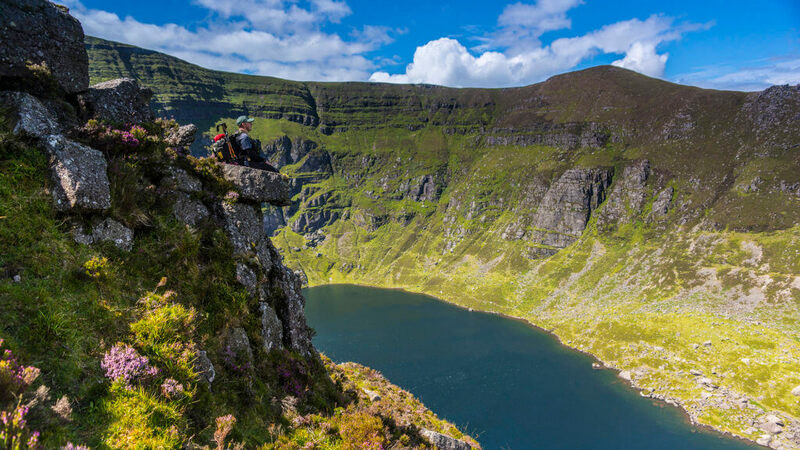 Just type in Coumshingaun Lake into Instagram and the pictures alone will have you hopping in the car and heading straight there – all with the goal of nabbing yourself that epic picture of you perched on a rock overlooking the famous corrie lake. The hike to the lake is not waymarked so if your navigation skills are weak, we recommend Mario from Muddy Boots. This guide’s stories of life in the Comeraghs and the hermit of Lackendarra will leave you spellbound. He’ll also introduce you to lots of edible plants as you walk. Getting up to the lake and back down takes about two hours. For a more strenuous hike, Mario does offer a four-hour looped walk that we will be returning for! 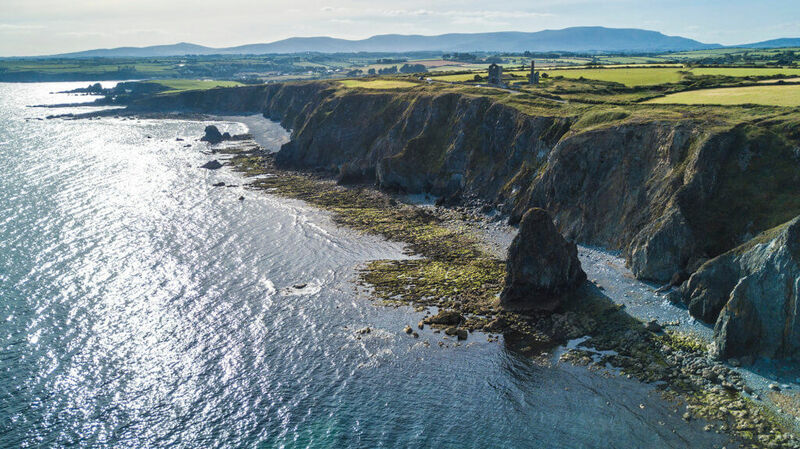 You don’t have to be a geologist to appreciate the insane rock formations along Waterford’s Copper Coast. Pop into the Visitors’ Centre first to equip yourself with a map of the route. Then cycle it, walk it, or at least park up your car at some of the points of interest and go explore. The colours of these cliffs, the incredible views and the opportunity to duck in and out through the caves will leave you reeling. Some of the highlights include Knockmahon and Stage Cove. The best way to end this epic staycation is with a relaxing paddle along the coast. Pure Adventure run regular trips from Tramore and Bunmahon. We departed from the latter and the route certainly didn’t disappoint. Bathed in glorious sunshine we glided along the calm, crystal waters of the Copper Coast. Every so often we ducked in and out of caves and coves exploring these epic cliffs from the water. The cacophony of colour will be forever imprinted in my mind. The yellow of the cliffs and the sparkling green water as the sun danced on it was incredible. The little inlets, coves, caves, blowholes, rock faces and seabirds circling overhead make for one special experience. This eatery oozes cool and calm sea vibes. It offers great food, big portions and good veggie options too. 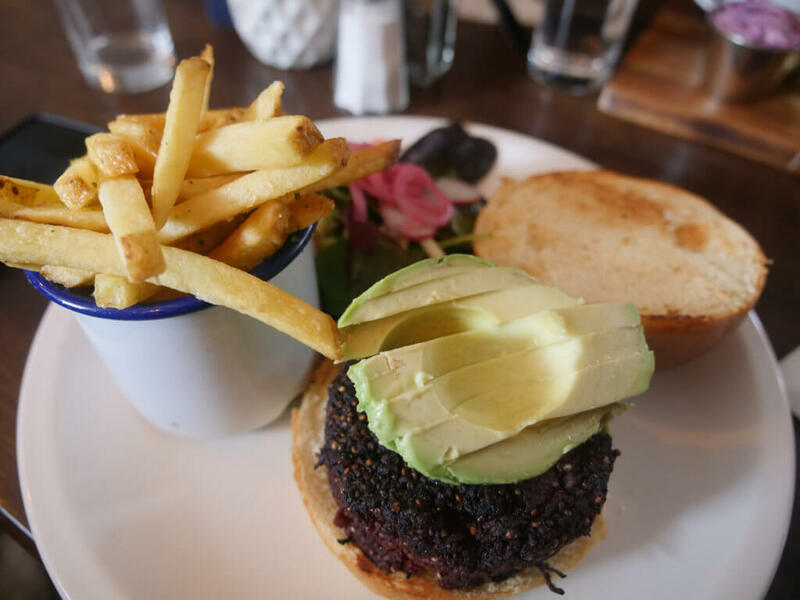 They’ve got delicious freshly baked bread, tapas, fish and mouthwatering burgers. If you are dining here at night, the mixologist will be on hand to shake and serve cocktails. For something a little more Irish and rustic, a night in this quaint farmhouse is a must. It is full of old Irish charm and incredible food, a lot of which they grow themselves. The sitting room has a roaring fire in a big old open fireplace. It is the perfect place for long distance walkers to lay their heads for the night. Ideally situated to explore St Declan’s Way, the East Munster Way, the Coast to Coast route, the Tipperary Heritage Way and the Knockmealdown Way. The owners offer a pick up and drop off service so you can get straight back on your hike from where you left off the very next day. Whether you are a die-hard roadie, adrenaline-loving mountain biker or a more leisurely cyclist, Munster Vales has a cycle route just for you. The Waterford Greenway is a haven for those looking to unwind. Running from Waterford City to Dungarvan, the Greenway offers 46 glorious car-free kilometres to explore. The views throughout are nothing short of spectacular and there are plenty of refreshments stops en route for those looking to make a day of it. 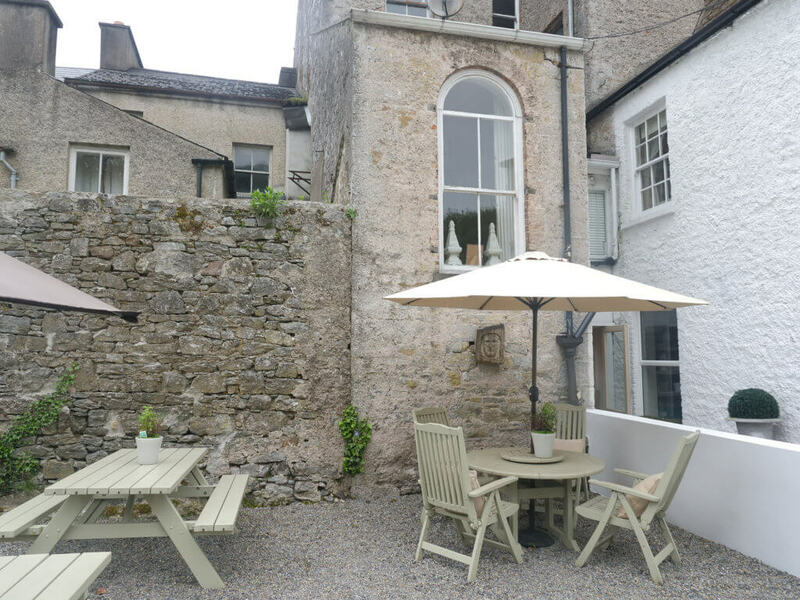 Coffee and cake lovers should not miss Coach House Coffee in Kilmacthomas. Set in an old famine workhouse, this place serves up an array of goodies, including floury blaas, gooey brownies and mouth-watering carrot cake. If 45km seems a little too ambitious, then you can opt to take on a more manageable section of the route. Covering 10km, the section from Dungarvan to Durrow is particularly lovely. Essential info: Bikes can be rented for €20 (€45 for an electric bike). Shuttles are on hand to drop and collect riders from various points along the route. For more info check out the Waterford Greenway website or hire bikes here. Roadies that are partial to a sea view and a few punchy climbs are very well catered for in these parts. Covering a distance of 166km, the Copper Coastal Route runs all the way from Rosslare in Co Wexford to Dungarvan in Co Waterford. You will be treated to unrivalled views of the unique features of the Copper Coast as you work up a sweat on this challenging bike ride. Further inland, we would also highly recommend a spin around the Comeraghs. The Comeragh Tour which takes place on 26 August is a great way to see the area. Covering a distance of 125km, the fully marked route will treat you to some of the most gruelling climbs in Ireland, including Mahon Falls, Tinincor and Powers the Pot. Essential info: Tickets for the Comeragh Tour can be bought on Eventbrite. 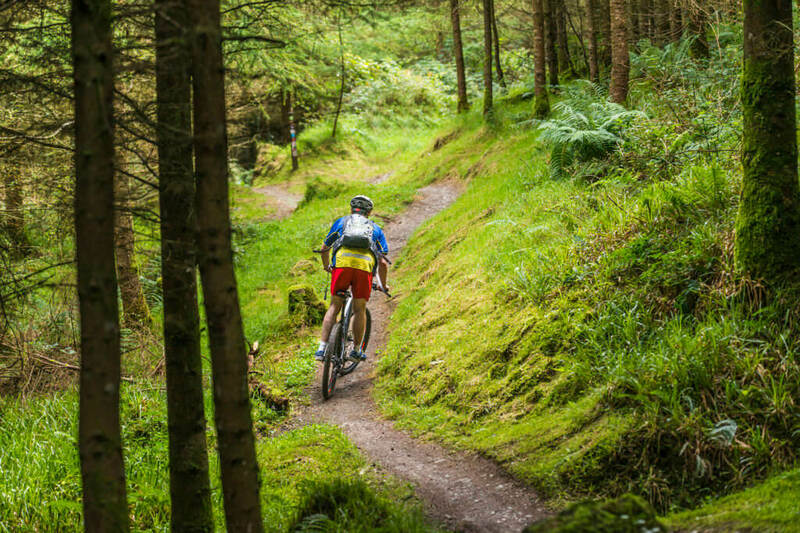 Located in the heart of the Ballyhoura Mountains in Co Limerick lies the largest network of mountain biking trails that Ireland has to offer. Offering 92km of marked trails, there is something to suit all abilities. Newbies can get to grips with the bike on the 6km Greenwood Loop, while experienced riders can really test their mettle on the 50km Castlepark loop. Essential info: Located at the trailhead, Trailriders has an impressive fleet of rental bikes to choose from. They even have electric mountain bikes! Bike rental starts at €35 per day.